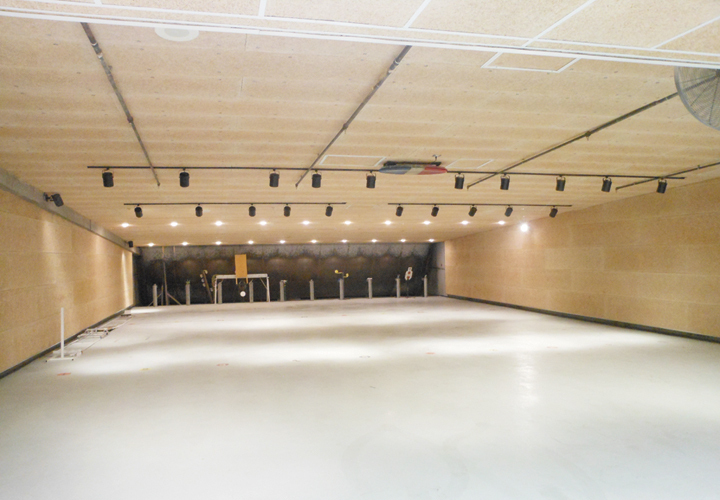 To correct loud noise on your indoor or outdoor range, you must use engineering controls designed to absorb noise across all frequencies. The UL-rated Troy System from Troy Acoustics is an acoustic wall system that is installed on baffles, safety ceilings, drop ceilings, and sidewalls to ensure that you meet OSHA noise exposure limits and a 1.3-second reverb time. This system is USAF approved for anti-ricochet and anti-splatter for errant 5.56 and 7.62 rounds and received an excellent acoustic rating by the U.S. Army Corps of Engineers for use in a shooting range. All for only $7.75 a square foot.